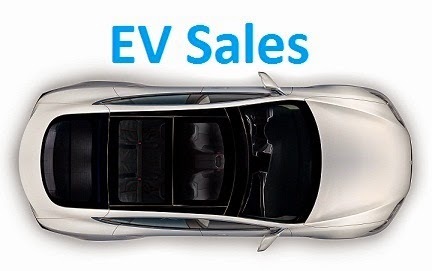 The global EV market continues to grow at rapid pace, with almost 50.000 units delivered in April, representing a 48% growth YoY, with YTD up 46%, we are headed for a total sales number this year of around 800.000 units, not the Million a year that everybody is hoping for, but an encouraging number neverthess. In the models ranking, the Best Seller of the Month was the BYD Tang, with 3.145 units, while the YTD leader Nissan Leaf was a close second. With this performance, the BYD Tang climbed one position to Third Place, displacing the Mitsu Outlander PHEV to Fourth, recovering the Best Selling SUV and PHEV title. Below these heavy weights, the Chevrolet Volt dropped one position to #8, despite having its best April in history, GM's model is taking more time than expected to reestablish itself as a major player in the ranking, a case of just not growing fast enough or is the all-electric Bolt already making waves? After a couple of months in the leadership, Nissan had to leave the throne for BYD, that with 7.592 units, made its best monthly performance in 2016 and looks set to be on top for a long time. Mitsubishi had a rather forgettable month, with only 2.516, and is now in plain sight of the players running for the Fifth position, with BMW, Volkswagen and even Renault, chasing each others tails. Final mention for JAC joining the Top 10, in...Tenth, replacing Ford. After a looong discussion, the German government has finally decided to lauch a decent incentives package to promote plug-in vehicles, but there aren't still any published official documents on the incentives. An informed EVS reader tipped me on this, just an unofficial thread (http://www.goingelectric.de/forum/bmw-i3-allgemeines/abwicklung-des-umweltbonus-bei-bmw-t17054.html) where a consumer shares what he heard from a BMW dealer. The dealers received the information about the incentives on May 25th. The incentives were decided by the German Government on May 18th and the linked thread claims that any car purchase that was made from May 19th on is eligible for the incentives. The 60.000€ is the price without taxes, this means that cars up to 71.400€ base price can profit. This cover pretty much all models, except the Tesla, XC90, Q7, i8 or the Cayenne for example. BMW will reduce the price (Including taxes) by another 1.500€, the incentives are worth 2.000€ (Without taxes) or 2.380€ (Including taxes), so 3.880€ from BMW plus 2.000€ from the state (http://www.bafa.de/bafa/de/wirtschaftsfoerderung/elektromobilitaet/index.html is where the car buyer has to claim the 2.000€ from the state) makes 5.880€ in total for BMW BEV cars. The vehicle tax exemption (~50€ per year for a BEV) remains at 10 years. If these kind of incentives are spreaded across the several EV makers, then we will probably have a huge opportunity for the German Plug-in market to grow significantly and become the largest of the Old Continent. The other class above 1% was the B-Segment (BMW i3, Renault Zoe), with only 1.05%, so there is a lot of room to grow, i really think/hope this will be an important move for Plug-ins in Europe and will probably be the most significant event in the 2016 Euro EV-Scene. The European EV market had more than 16.000 registrations in March, representing a 28% increase over April 2015, with the market set to surpass the 200.000 units by year end. #1 Mitsubishi Outlander PHEV – After a slow start, the Outlander PHEV is back at its usual self, winning its second consecutive Monthly Best Seller title, with 1.970 units, but YTD sales are down 12%, meaning that Mitsubishi hasn’t found a way to replace the average 300/400 units/month it had last year coming from the Dutch market. Although growing elsewhere, like Norway or Spain, the Japanese SUV will have a hard time to grow sales and remain #1 for a long time. #2 Renault Zoe – In its best sales streak since it started, back in 2012, April signaled the 8th consecutive time the French hatch sold more than 1.000 units, with 1.959 units, with Renault finally trying to sell actively the car, including batteries in the initial price and providing friendly discounts, this is one EV with good prospects in the near future, will it get back to #1 soon? 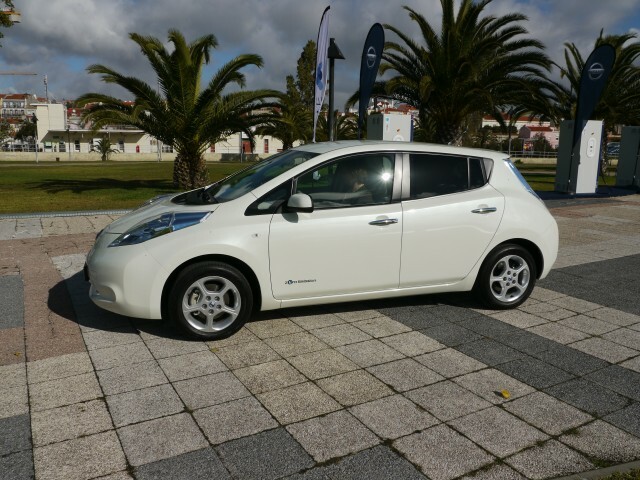 #3 Nissan Leaf – With the availability bottlenecks of the 30kWh part of the past, sales of the Japanese hatch were up 77% in April, with 3 out of 4 Leaf belonging to the extended-range version. With 1.860 units registered last month, one wonders for how long will the Nissan all-electric model remain in the podium, as longer range BEV’s (New BMW i3, 2017 Opel Ampera-e…) might sway away buyers from the most common EV in the world. 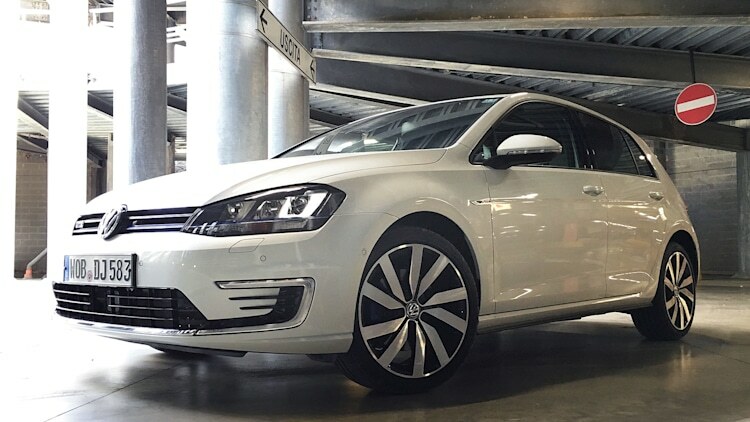 #4 VW Golf GTE – Thanks to the Norwegian result (602 units sold there), Volkswagen’s sporty hatch managed to reach positive ground (Up 12% YoY) in April, with 1.225 units, this recent turn of Norway to PHEV’s was fundamental to offset the sales drought in the Netherlands and continue to improve on the 2015 performance. #5 VW Passat GTE – The surprise of the month, VW’s midsize plug-in offering managed to reach the four-digit sales area last month, with 1.012 units, a year best, with stringent emission legislation spreading across Europe, many fleet and middle-managers will switch their diesel-burners for this model, flying them through the highway and smashing the accelerator to the ground like if their future depended on it. A future Best Seller? As you might have noticed, this post is different from usual, it is result of an agreement with CleanTechnica / EV Obsession, where this post is simultaneously published, i want to thank Zach for making this possible and we hope this will be continued in the future. Looking at the YTD ranking, the Mitsu Outlander PHEV is firm at the highest place in the ranking, with two closes races behind it, the Nissan Leaf and Renault Zoe are running for Second Place and have only 30 units between them, while the Tesla Model S and VW Golf GTE are fighting for #4, with only 35 units separating them. Talking about Volkswagen, the german brand had a positive month, with the e-Golf up one position to #8, like the Passat GTE, also up one position to #10, while in the MPV class there is an interesting race between the leader Mercedes B250e (239 units, up one position to #16), and the #20 BMW 225xe Active Tourer, with a record month, with 292 units. Looking at the brands ranking, the trophy bearer, Volkswagen (16%, up 1%) is holding Renault (15% share) at bay, while in Third we have Nissan, with 13% (Down 1%), trying to keep the #4 Mitsubishi (13%) and #5 BMW (12%) outside the podium. The hangover is still showing itself in April, with sales back at just three digits (882 sales), with YoY registrations are down 43%. But not all is bad news, as the EV Share has recovered from 2,23% in the previous month, to the current 2.44%, but it is still a long way from the 9.63% of last year. Looking at the monthly ranking, the Monthly Best Seller award went to the Volvo XC90 PHEV, which made a year best performance of 370 units (Best Selling Luxury SUV in the overall market), while the #3 BMW 330e has remained above the 100 deliveries, beating once again the Mercedes C350e and VW Passat GTE. Plug-in hybrids are once again winning the majority of sales (56%), with several plug-in hybrids climbing positions in the ranking, like the BMW 330e climbing to #4, with another BMW providing great numbers, with the 225xe Active Tourer shooting six positions to #7. On a broader look, the Tesla Model S (665 units) has maintained the Number One position in its size class, beating the usual best-sellers BMW 5-Series (481), Audi A6 (418). Looking at the manufacturers ranking, there were major developments in the top positions, with Volvo taking over the leadership (24%), followed by Tesla (22%) and BMW (16%). In one of those time-killing moments, i came across this map, which shows the distribution of Tesla Model S & X across the world and me being a sort of geography nerd it caught my attention. This isn't an actual representation of each Tesla distribution, but it does give an idea on where they are distributed. EV Sales continue with a fast pace, with 123 registrations last month, a 86% increase YoY, with the EV Share steady at 0.77%. Year-to-date sales are now at 572 units, up 136%. The all-electric Nissan Leaf held the leadership, with 25 registrations in April, while the Mitsu Outlander PHEV surpassed the Mercedes C350e and is the new Second Place. A significant jump was made by the Renault Zoe, up three positions to #6, closer to the Fourth Position claimed last year. Good month for the LCV segment, with both the Renault Kangoo ZE and Nissan e-NV200/Evalia registering 5 units, a year best, while the Citröen Berlingo EV had its first delivery of the year. In the manufacturers ranking, Nissan (21%) managed to distance itself from Mercedes (19%), while Mitsubishi (17%) is a close Third. If we combine regular hybrid sales with plug-ins, the two Toyota Best Sellers, the Auris Hybrid (#1) and the Yaris Hybrid (#2), continue to rule the ranking, with this month the Mercedes C300 diesel hybrid overcoming the Nissan Leaf, in the race for the Third Spot. In Fifth we have another plug-in, the Renault Zoe, two units ahead of the Sixth Place, Mitsubishi Outlander PHEV.